West End’s Rose Bowl cricket ground has been on the verge of going bust says The Daily Echo. The Echo claims that the council have considered buying the Rose Bowl lease for £7 million in order to save their development plans for the site – a 5 star luxury spa hotel. The council who currently have 6,500 people on their housing list, hopes to borrow £32 million to construct a toff’s paradise complete with gourmet restaurants an 18 hole golf course – and unbelievably – rooms with gold plated taps, a pet grooming salon and champagne filled mini bars. In an editorial The Echo – who recently lost a lucrative contract to print and distribute the councils own ‘Pravda’ style news sheet – attacked its former business partners plans as reckless, describing them as ‘a gamble’. Eastleigh Borough council regularly holds secret meetings under ‘exempt business’ rules to discuss it s operations as a taxpayer funded property development business. It has used these meetings to secretly purchase millions of pounds worth of commercial property interests which include offices and hotels and pubs. In a recent review of council finances the audit commission has praised the council saying it gives ‘value for money’ but it also warned that the council would need to deliver savings of £3 million over three years in order to deliver a balanced budget and warned that the council faces risks from its ‘substantial capital programme, particularly in relation to interest rates and rental income’. The council recently admitted it did not believe it could achieve full occupancy of its Wessex House office block and alternative plans to earn income from installing solar panels on its roof instead have just been torpedoed by the towns own MP. One Eastleigh resident aged 54, who did not wish to be named, reacted angrily to the news. “All I want from the council is for them to empty my bins and sweep the street – this they fail to do. My bins get emptied once a fortnight and my street is swept just once a year. “I don’t expect the council to use my money to rent out hotels or pubs and or to sponsor a national tour by a Polish theatrical company. “We need to have some ‘back to basics’ councillors in Eastleigh. Money needs to be spent on delivering core services like street cleaning and bin emptying first – before spending on cricket or ballet. We need to spend more money to support things like bus services for elderly people not cut these services in order to have more money to buy up empty office blocks”. It was interesting that at the November HEWEB Local Area Committe, the Rose Bowl was on the agenda. Nothing this controversial though. The committee discussed a routine report on the RoseBowl, how many complaints, parking issues etc. Last time I saw Simon Carr he was sprawled out on the pavement outside the Rose Bowl having tripped over my Mum’s walking stick! You can always rely on the Echo to sensationalise a story. The Borough Council’s interest here is two-fold: firstly to ensure that the venue survives and contributes to the local economy, protecting jobs in the process, and secondly, if there is a sensible proposal on the table, to help further develop the facility to create more jobs and generate income to the Council to protect services and keep Council Tax down. Eastleigh Borough Council has not suffered the massive cuts in services that many councils have because we have invested in the local economy on sites providing good long-term income to the Council. It’s no coincidence that Council Tax had gone up by less than inflation for eight years in a row at Eastleigh. That’s a unique record in Hampshire. Well no one can deny that is a notable achievement though your critics will point to ‘stealth council taxes’ like garden waste removal charges, resident parking tax and Town Centre parking charges. As regards the capital portfolio Councillor Olson did outline the potential pitfalls of having to service a property based debt mountain during a recession quite eloquently here. These are the same risks the Audit Commission have identified. Well, you can’t say you weren’t warned! BTW The £1.25 million spent on preparatory costs..does this include the monies the council had to expend in order to fend off a legal challenge from disgruntled hoteliers? If not, how much more did that cost? The point I’m trying to make is that contrary to your suggestion that the council has not invested in the site – it is actually already in the hole for a few quid and the fear is the council will be tempted to throw good money after bad. I have to agree with the unnamed 54 year old, back to basics, theres a Hotel already there, there is a health club next door, what more do you want! 32 Million will need to be borrowed in order to do this, and in current economic climate when it all goes wrong council tax will probably go through the roof to pay for it, how much will it cost with interest on the 32 Million? Local authority involvement in sporting venues / clubs is documented with failure that normally ends up with the local electorate footing the bill and local councillors being surcharged and disqualified from public office. The main problem is that those seeking the money are always full of enthusiasm and optimism about thier future. While that of course is always positive, it does not offer the best criteria for a business plan that for instance, a bank would want to see. Perhaps this is why no bank wanted to get involved to the extent that EBC has. 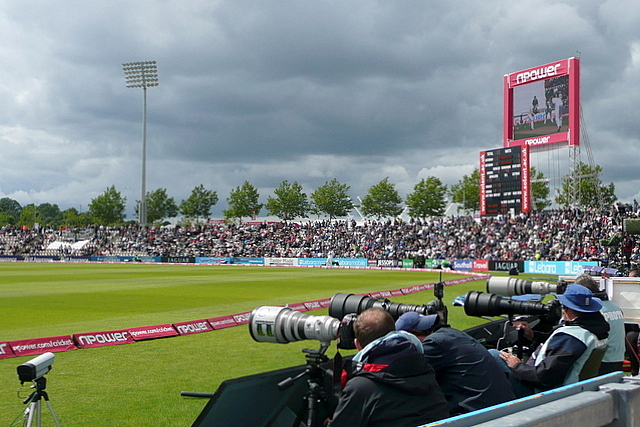 We all want the Rosebowl to succeed as a venue that has seen success over the past years through some of the wonderful events staged there, apart from the cricket. If the cricket board has now deemed that test matches will not be a fixture at the Rosebowl for the foreseeable future, you have to ask if this particular aspect of the plan for the future was the mainstay of the projected income. This may have seemed like a sensible venture in other times except for the ones we are now living through. As someone who has worked in sales and marketing involving new build projects over the years, it’s clear that there were no guarantees except that EBC have committed money on what appears to be a desired business whim of the Rosebowl management who failed to see the consequences of a future downturn in projected business. Although I think the Rose Bowl might actually be good for the area, I take umbrage at Keith House’s platitudes on ‘contributing to the local economy; help develop the facility’ etc. Was it not he who close the Tourist Unit in Eastleigh some years ago? As a result, successful events and other promotions such as the Food Fair at Hamble were abandoned and tourist income supporting the local economy lost. Ok, these projects were not as glamourous as the Rose Bowl but they attracted a lot of visitors and were growing in popularity. What’s more, they didn’t cost shed loads of money. A businessbrain is sadly missing in the governing council at the moment. EBC are demolishing a hotel & a golf course to build 1400 houses, but investing millions in a nearby hotel with a golf course. Coincidence?